Allah Islamic Calligraphy coloring pages printable is available here to downloads for free. You can use this free printable coloring pages to make your kids be more creative by coloring activity. Raise up they coloring skill by doing more practise. 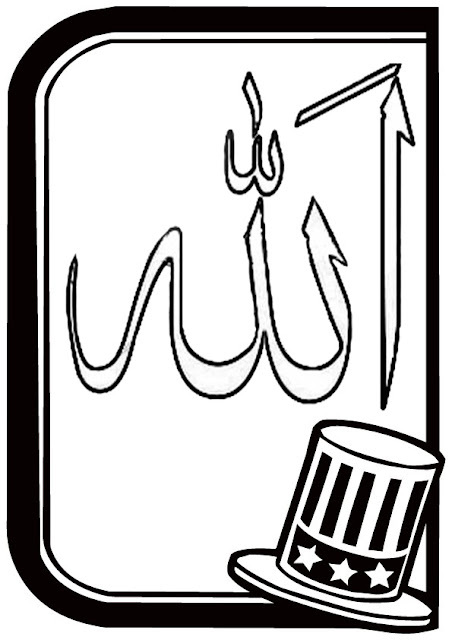 Allah Islamic Calligraphy coloring pages is available on realisticcoloringpages.com free for personal and educational use only, you're not allowed to use this free Islamic coloring pages for business or any other commercial activities. You can download and then print out Allah Islamic Calligraphy coloring pages to your computer or any other device by right clicking the coloring pages images and then choose "Save Image As..." to your computer or another device storage folder.